The National Equine Forum (NEF) will be celebrating its 25th event on Thursday 2nd March at the Institution of Mechanical Engineers, London, and has lined up an outstanding programme to celebrate. Government officials, vets and equestrian industry leaders will share their knowledge and drive debate on some of today’s most pertinent topics including Brexit’s potential impact on the horse industry, the equine database, the UK Thoroughbred Health Network, tack, bits and welfare and Changing Lives through Horses. The prestigious Sir Colin Spedding Award will also be presented. The morning session on the horse industry, government and policy will commence with the Defra view from Lord Gardiner, Parliamentary Under Secretary of State for Rural Affairs and Biosecurity. Stewart Everett, from the Equine Register will follow with an update on the Central Equine Database. What might EU exit mean for the horse industry will be the focus for a potentially lively panel discussion between policy, sport, racing and trade representatives, chaired by Roly Owers, Chief Executive of World Horse Welfare. Dr Tim Parkin Senior Lecturer in Equine Clinical Sciences at the University of Glasgow School of Veterinary Medicine, will present the Memorial Lecture on the role of the Thoroughbred Health Network (THN) in the UK. These lectures are given each year and link to past winners of the Sir Colin Spedding Award. In 2015 Paul Greeves, former Executive Director and Keeper of the General Stud Book at Weatherbys, won the award. During his time at Weatherbys Paul keenly supported the use of science to underpin developments within the Thoroughbred. This is reflected in the role of the THN as much of the data provided for their epidemiological work comes from Weatherbys. The afternoon includes a themed session entitled Tack: an anatomical perspective. 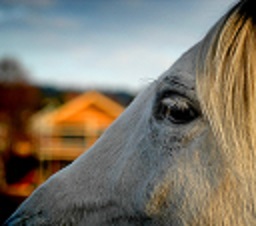 Dr Sue Dyson, head of clinical orthopaedics at the Animal Health Trust centre for equine studies will discuss tack fit and its impact on the horse and Dr Caroline Benoist, manager of research and education, Neue Schule Ltd, will look at bitting and the welfare and comfort of the horse. The afternoon will also feature Lynn Petersen, Chief Executive of the British Horse Society speaking about the organisation’s new educational programme Changing Lives through Horses, which aims to support people to develop the skills, and the desire, to return to education and/or employment. In addition there will be a number of topical slots interspersed throughout the day and the winner of the Sir Colin Spedding Award will be announced and the award presented. This award was established in 2013 in recognition of the late Professor Sir Colin Spedding’s services to the equine sector – most especially founding the National Equine Forum and Chairing it for 19 years. The National Equine Forum is organised by a committee reflecting various sectors of the equestrian industry and has as its President HRH The Princess Royal. It is sponsored by Bedmax, the Blue Cross, British Equestrian Federation, British Equestrian Trade Association, British Equine Veterinary Association, British Horse Society, British Horseracing Authority, Bulley Davey, Craig Payne Photography, Dodson and Horrell, Donkey Sanctuary, Hadlow College, the Horse Trust, the Horserace Betting Levy Board, Jeffress Scholarship Trust, NFU Mutual Insurance, Redwings, Weatherbys and World Horse Welfare.